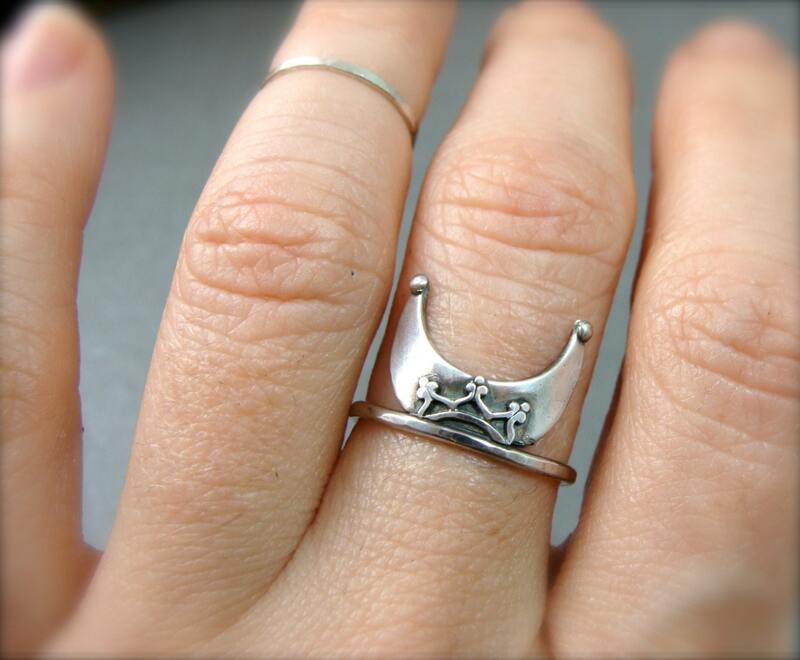 This simple little ring features a crescent moon shape that has been embellished with delicate sterling details. 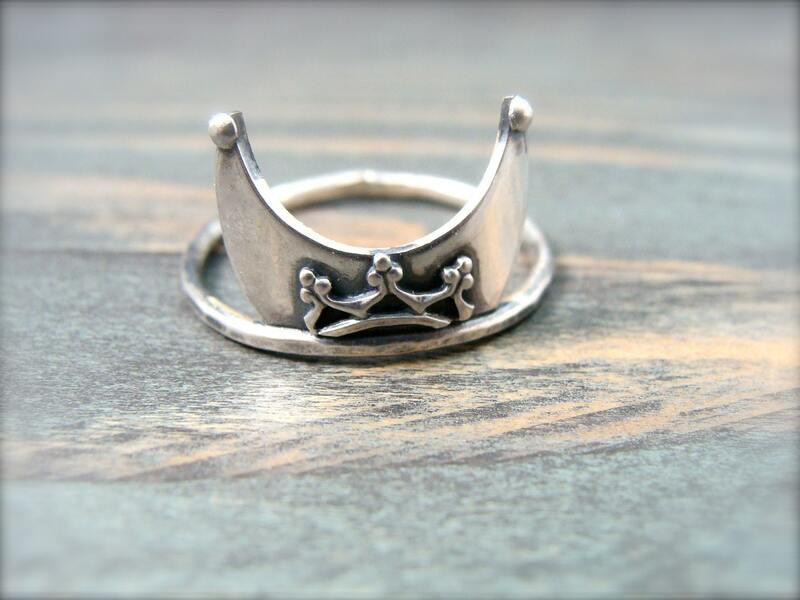 The metal has been given a dark patina to bring out all the details and give the ring that time worn look. 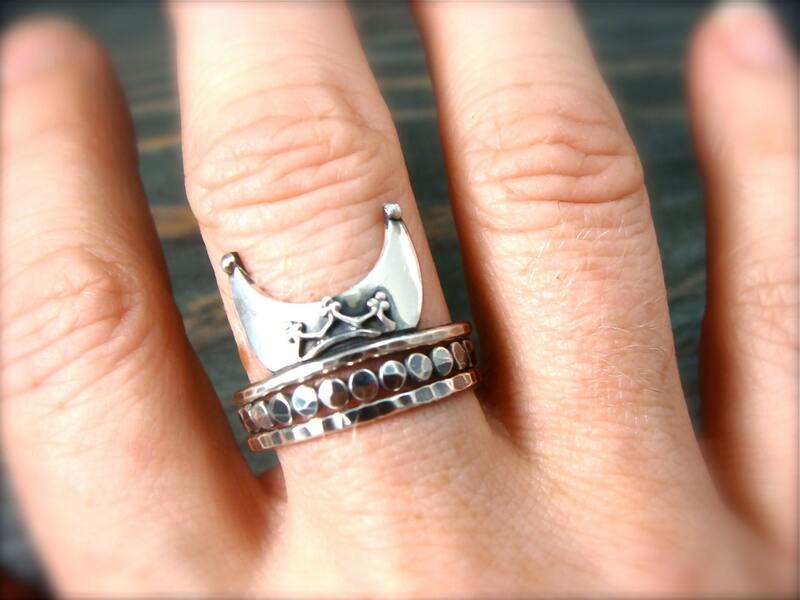 This ring looks great stacked up with others. 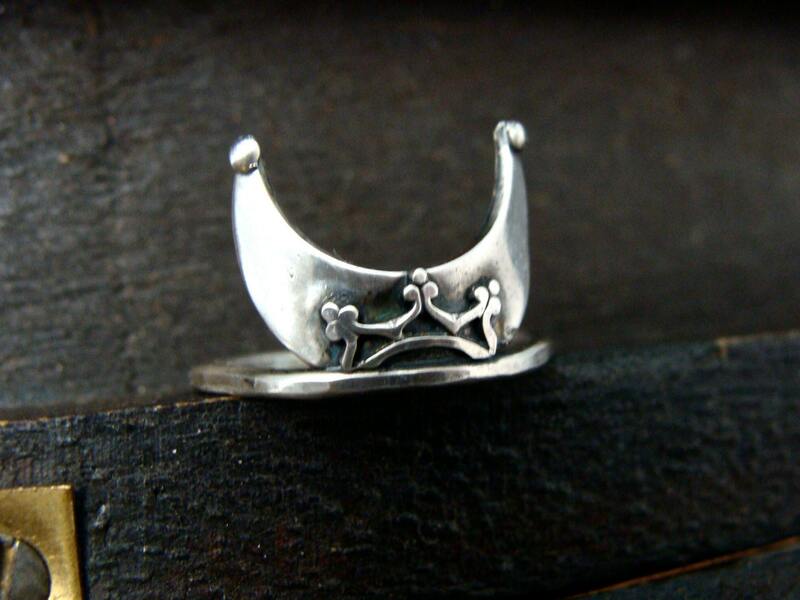 Have a look around my shop and you'll find the other rings shown. Size ~ Made to order. Please order your correct size. I love this ring so much! The tips tilt up ever-so-slightly, so I've caught it on a few things, but that doesn't detract from their awesomeness at all. So beautiful and well-made. I look forward to wearing them! Thank you!! 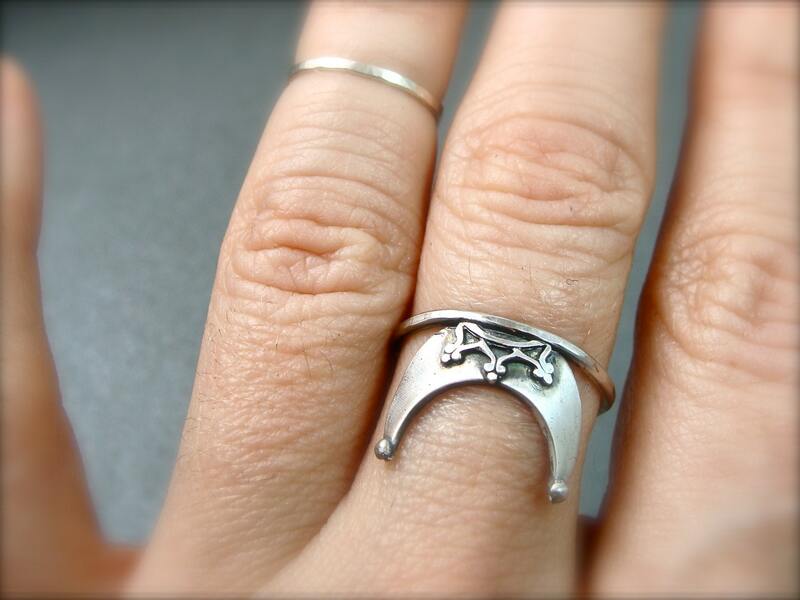 I LOVE this ring!! Very unique!! I can't wait to buy more from this wonderful artist!! I love this piece I wear it daily!